Emma Mannheimer is Imbibe’s Seattle-born, Portland-based Editorial Assistant. She likes her espresso with a side of seltzer and enjoys her tequila with an orange slice preferably beneath the sun. 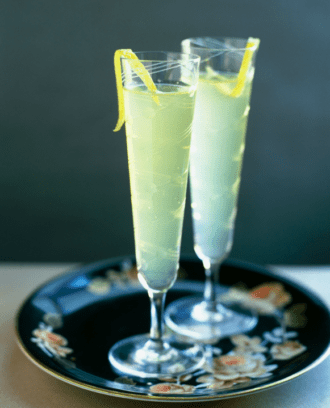 A bottle of bubbly livens up just about any occasion, and this springy sparkling cocktail gets an added dose of sweetness and sun thanks to a splash of limoncello.